May is Electrical Safety Month. 20% of disabling workplace injuries involve the hands. 3M™ Comfort Grip Cut Resistant Gloves have the same features and comfort as the General Use Gloves with even greater cut, puncture and tear resistance. 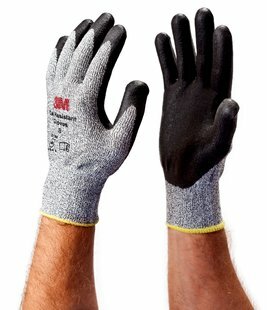 These medium-duty gloves are excellent for jobs requiring dexterity when handling sharp parts. Pick up our safety specials flyer and be safe!